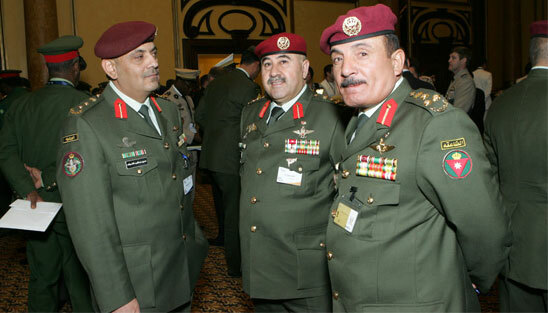 The Jordanian Special Operations Forces and the Institute for Near East and Gulf Military Analysis, INEGMA, held the Middle East Special Operations Commanders Conference (MESOC) for the fifth consecutive time. 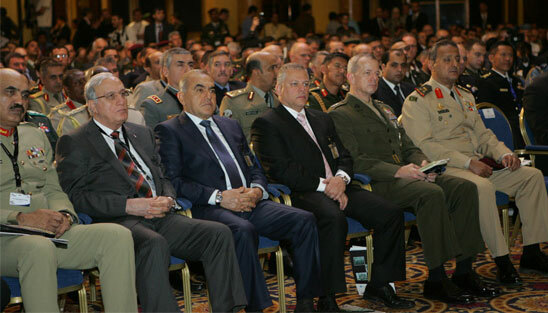 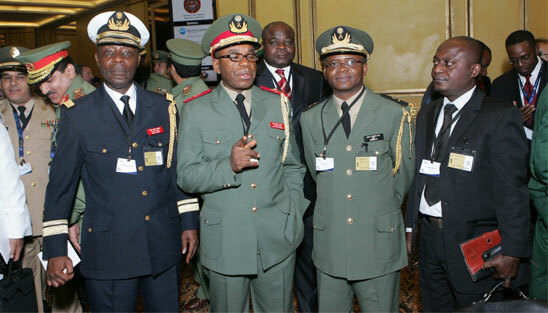 The event kick started the Special Operations Forces Exhibition 2010 (SOFEX2010) at Le Royal Hotel in Amman, Jordan on May 10, 2010. 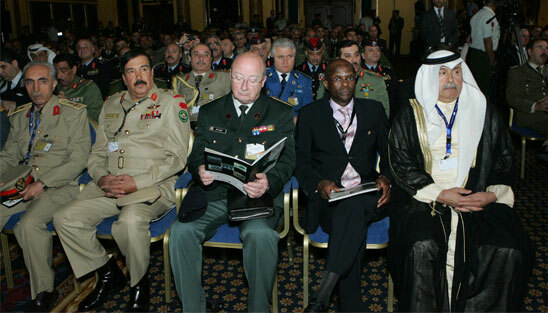 Australia, Poland, Algeria, United Kingdom, Netherlands, Italy, Kingdom of Saudi Arabia, Syria, South Korea, Chile, Palestine, Sri Lanka, Greece, Canada, Brunei, France, Belgium, Kuwait, Thailand, United States, Bahrain, Egypt, Switzerland, Sweden, South Africa, Lebanon, Kazakhstan, Rwanda, Uganda, Singapore, Indonesia, Morocco, Azerbaijan, Malaysia, Sudan, Gabon, Oman, United Arab Emirates, Austria and Yemen. 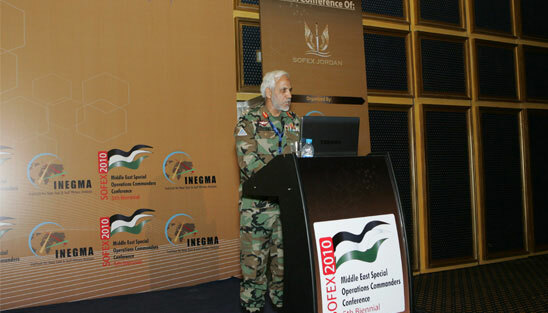 Riad Kahwaji, CEO of INEGMA, welcomed delegates and guests and spoke of the importance of the conference in today's strategic and operational environment. 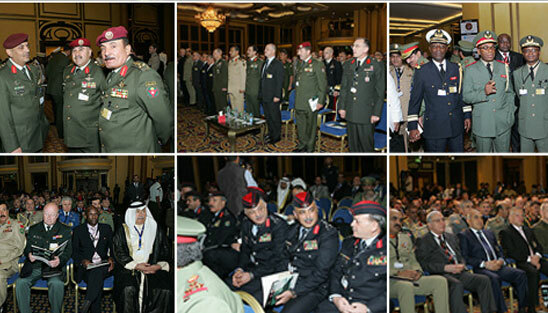 He emphasized the exceptional role that Special Operations Forces (SOF) play in the region's evolving strategic balance. 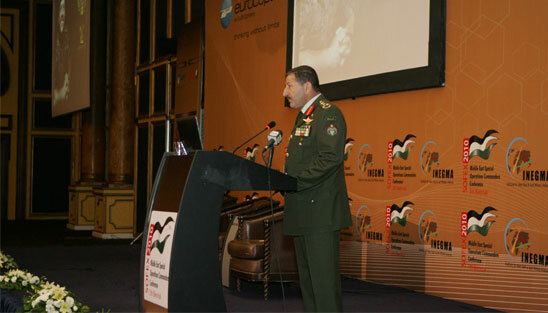 Representing His Majesty King Abdullah II of Jordan, General Mechaal Al Zobun, Jordanian Chief of Staff, delivered the keynote speech discussing the event’s vital role in bringing together SOF leaders in a changing strategic and tactical environment. 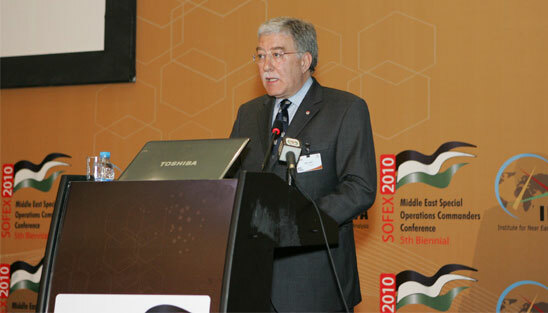 Amer Tabaa, Managing Director of SOFEX, delivered a speech concerning the contemporary significance of MESOC, SOFEX and Homeland Security and Special Operations worldwide. 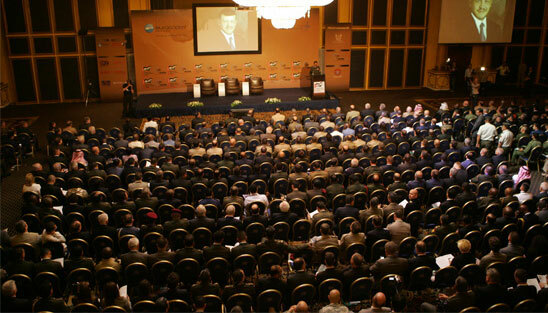 Session One, chaired by INEGMA CEO Riad Kahwaji, featured two speakers. 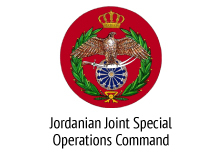 Commander of the Joint Special Operations Command of Jordan, Brigadier General Ali Ahmed Jaradat, examined the means and methods for training present and future SOF personnel through a regional perspective. 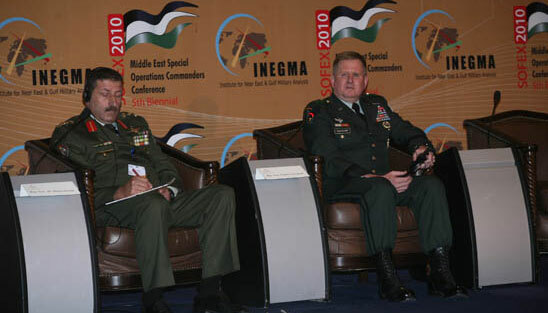 Commander of U.S. Special Operations Command Central, Major General Charles Cleveland, discussed SOF in modern warfare and combined operations. 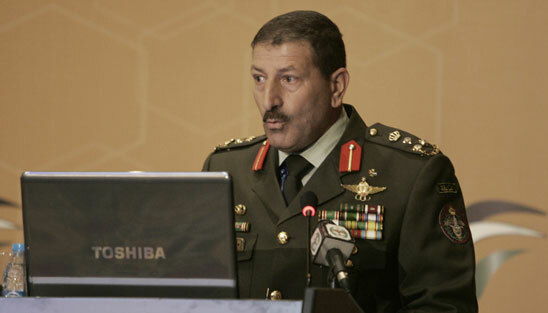 He considered the role that Human Domain and Human Terrain play in special operations today. 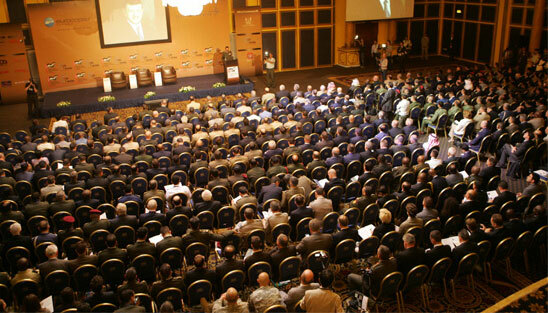 During the panel, a lively debate commenced concerning the dynamics behind Hybrid Warfare and advances in technology. 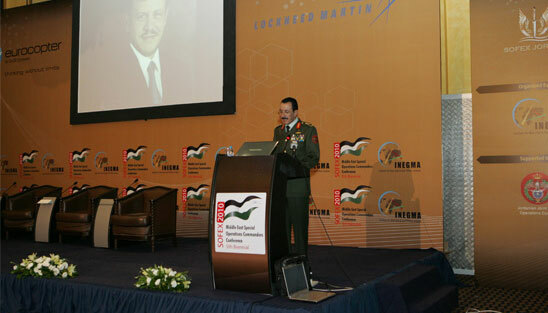 Session Two, chaired by INEGMA Director of Research and Development Dr. Theodore Karasik, presented two speakers. 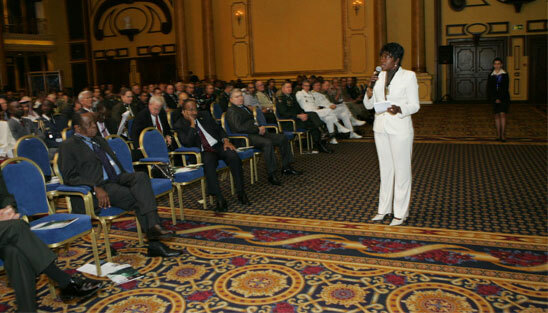 Brigadier General Frederic Beth, the Chief of Operations of French SOCOM, considered the challenges facing Seaborne Special Forces in modern militaries and examined the role of French SOF in countering Somali pirates. 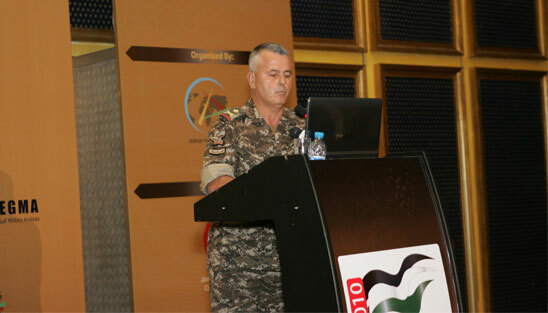 Commander of the Lebanese Special Forces Air Assault Regiment, Brigadier General George Nader, discussed the difficulties confronting Lebanese SOF during Naher El Bared. 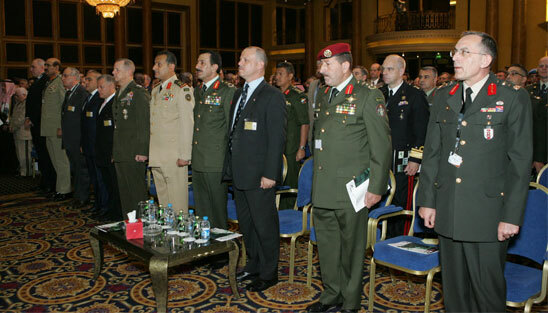 During the panel discussion participants analyzed the various equipment requirements necessary for successful special operations, specifically in the case of Lebanon where a group such as al-Fatah al-Islam posed challenges. 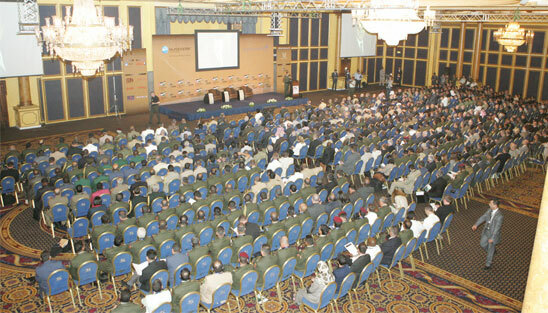 Session Three, chaired again by Dr. Theodore Karasik, featured three speakers. 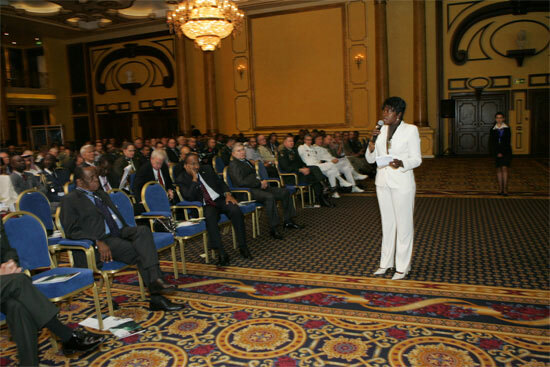 Commander of the Italian Special Operations Forces, Rear Admiral Donato Marzano, discussed the role of SOF in support of counter piracy in the Somali case and presented a historical review of piracy in general. 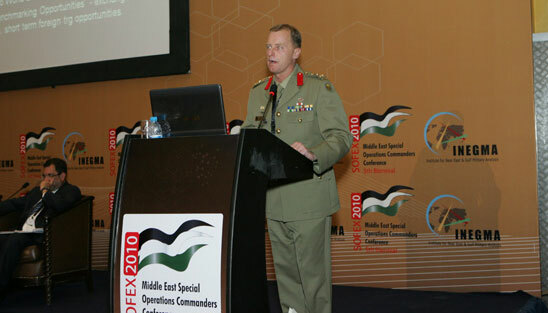 Chief of Staff of the Australian Special Operations Command, Brigadier Mark Smethurst, analyzed options and solutions for equipping modern SOF personnel. 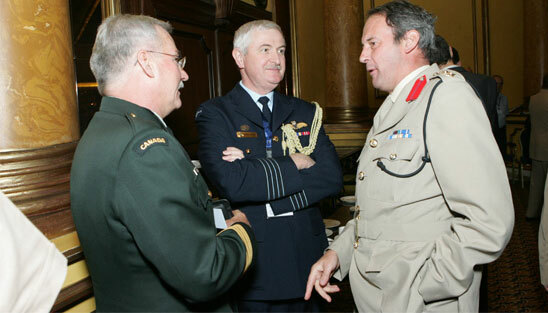 He maintained that the Australian SOF are evolving through participating in numerous operations and that important lessons are being learned for the future. 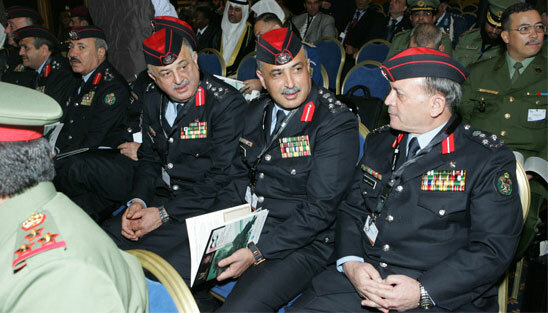 Finally, Major General Farrukh Bashir, General Officer Commanding of the Special Services Group of Pakistan, examined the Pakistani experience regarding future challenges involved with combating terrorism and the role of SOF in Mountain Warfare. 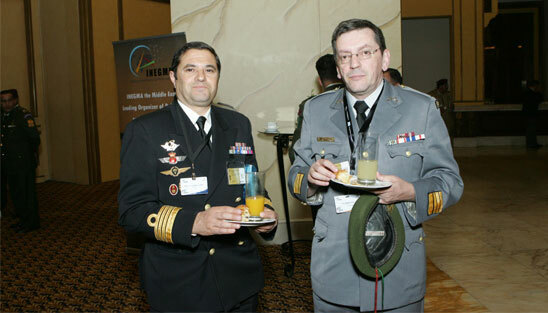 During the panel discussion participants considered how to compare and contrast sea and mountain operations.